Addis Ababa, July 15, 2016 (FBC) –Nine individuals have been sentenced to serve behind bars for giving Ethiopia’s military secret to the Eritrean government. The defendants are 1. Kassa Mesfin, 2. Abdela Ibrahim, 3. Leul Mehari, 4. Fesehaye Tekelegebresilasie, 5. Goitom Yidego 6. Gobzay Gebresilasie 7. Gebremichael Gebremariam, 8. Berhane Miruts and 9.Tikuh Niguse. The first five defendants are Eritrean nationals, while the remaining four are Ethiopians. 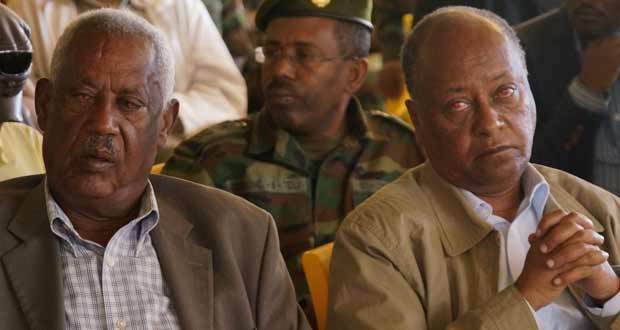 The defendants were charged for spying and leaking Ethiopia’s military information to Eritrea after creating secret relationship with Eritrean information staff between 2004  and 2006  EC. Moreover, Abdela Ibrahim was caught while preparing to sell F1 bomb to individuals. Tikuh Niguse was charged for hiding bullets and five bombs. The first six defendants were sentenced to 3 years and four months in prison. The 7th defendant was sentenced for 3 years, while the 8th defendant was jailed for four years and six months as well as fined 500 birr.